The Haute-Garonne department stretches right down the middle of the Midi-Pyrenees and is home to both a bustling metropolis and a rural landscape of undulating hills and valleys. It has the fastest growing population in the region. The Haute-Garonne currently has around half of the region's inhabitants, the majority of whom reside in the capital, Toulouse. The north is comprised of an undulating landscape with small hills and valleys, while the south rises up towards the Pyrenees mountain range. Toulouse is the capital of both the department and the region. People who live in the town's area have been left slightly confused by the geographical changes administered upon them. They were once quite definitely a part of Languedoc, but in the 1960's the boundaries were redrawn to position them within the Pyrenees region. The town has overcome its identity crisis and has settle with a culture that is a pleasant mix of the two. 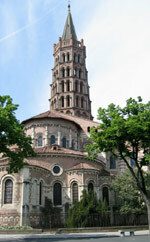 Toulouse is an important centre for education with more students than any other provincial city in France. It is nicknamed 'la ville rose' or 'the pink city' due to the predominant colour of the bricks used in building. Toulouse has been a major success story since World War II, heralding major innovations in aerospace and other advanced technologies. St Gaudens in the Garonne valley is the traditional capital of the region. It is a cultural and historical gem thought to be one of the prettiest towns in the region. 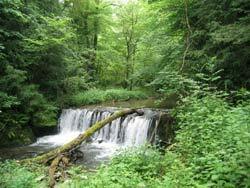 The surrounding area is abundant with a number of castles and ancient churches. Archaeologists have exhumed the oldest Gallo-Roman villa ever discovered in the area, as well as evidence of human life going back 30,000 years. Toulouse has its own airport, which makes getting there easy, especially when there are so many airlines flying in from the UK each day. If you're going across land then the TGV train service, which stops in Toulouse, is recommended. Taking the car is also an option. After Paris, take the A20 to Limoges then the N20 onto Toulouse. The region has seen a substantial increase in property prices over the last few years. Toulouse is the most expensive city in which to have a property. Most foreign buyers have chosen to live in the more relaxed suburbs where their money stretches further. However, the cost of living is around average for France. Do you know Haute-Garonne better than we do? Do you have photos of Haute-Garonne? Haute-Garonne is located in the south of the Midi-Pyrenees region of southern France.